More than 1,100 students celebrated the soon-to-start school year with the annual Aboriginal Back to School Picnic on the lawn of Government House in Victoria, August 13, 2016. 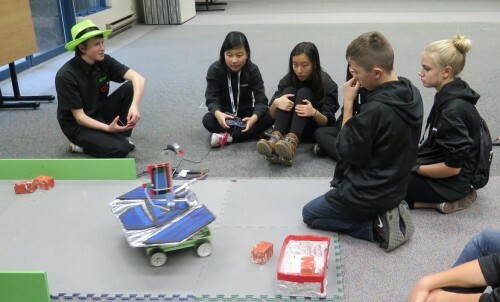 Today we did a robotics workshop as part of the summer day camp at the Victoria Native Friendship Centre. to an information afternoon about FIRST Robotics and how a school might go about putting together a team for FIRST Tech Challenge. The FIX IT team had a great time last night at the DAO Star Party. We had many people of all ages driving around the rover. The weather was looking bad throughout the day, but in the end it was perfect. The final configuration of the “Mars Rover” robot to be used at tonight’s Summer Stars Party at the Dominion Astrophysical Observatory. 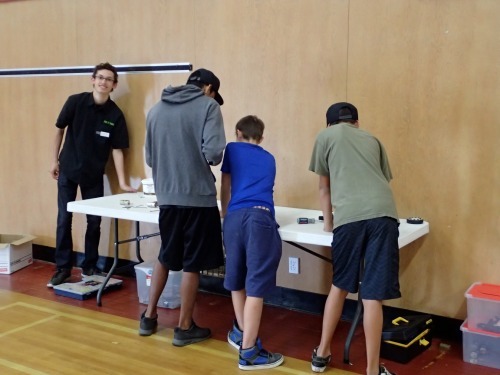 The FIX IT team will be at the DAO Summer Star party this coming Saturday August 8th at the Dominion Astrophysical Observatory (formerly The Centre of the Universe) at 5071 West Saanich Rd. 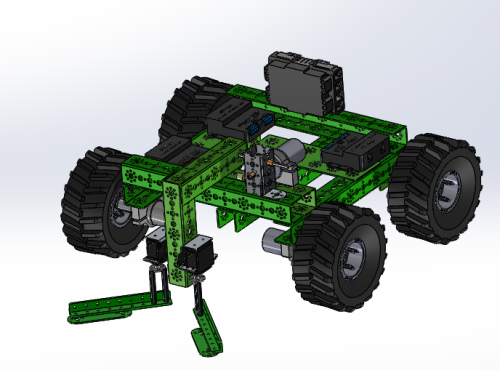 We will have a small display as well as a “Mars Rover” of our own construction to drive around, which has a drill on the front as well a grabber. Alec and Guy have been working on the robot for the demonstration at the Prototype Equipment Design demonstration later this month (July 24). 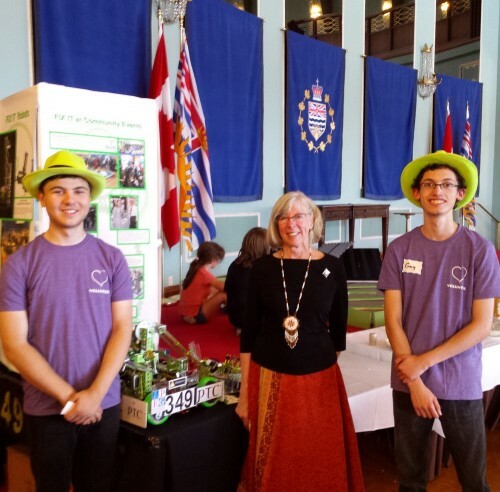 The FIX IT team was given a guest spot at GottaCon, a Gaming Convention held at the Crystal Gardens in downtown Victoria. There was a simple game using Block Party Blocks, a ramp and a “rough” which was green bumpy plastic. Two, small Omni-wheeled robots were available for people to try out. Points were awarded for getting the blocks to a scoring zone.